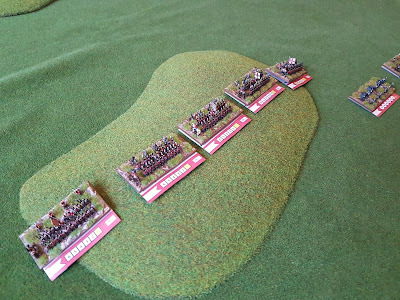 I've still not got any French... but luckily my opponent for my first upcoming game of Blücher has. 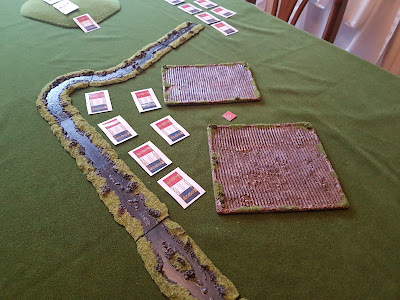 In preparation for that game I thought I'd try out the terrain components I've made since I've not managed that before. All trees for the woods have been completed and enough hills. 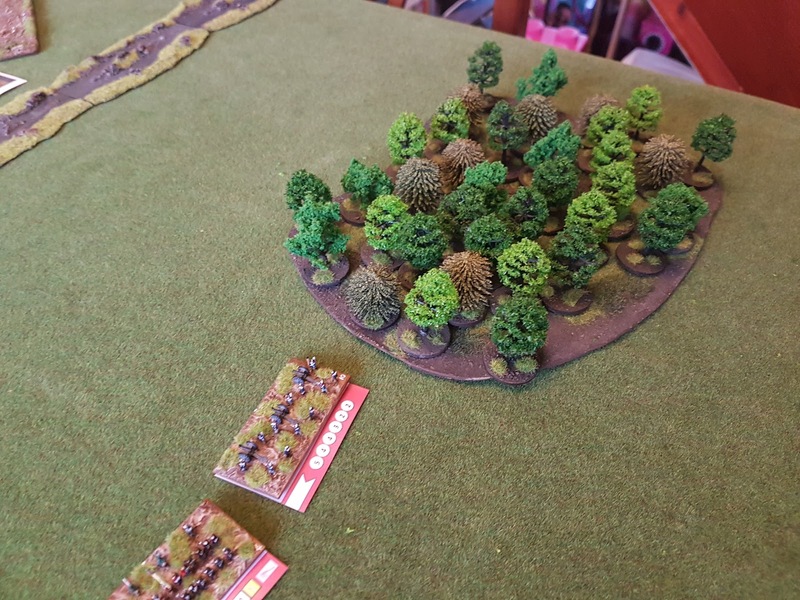 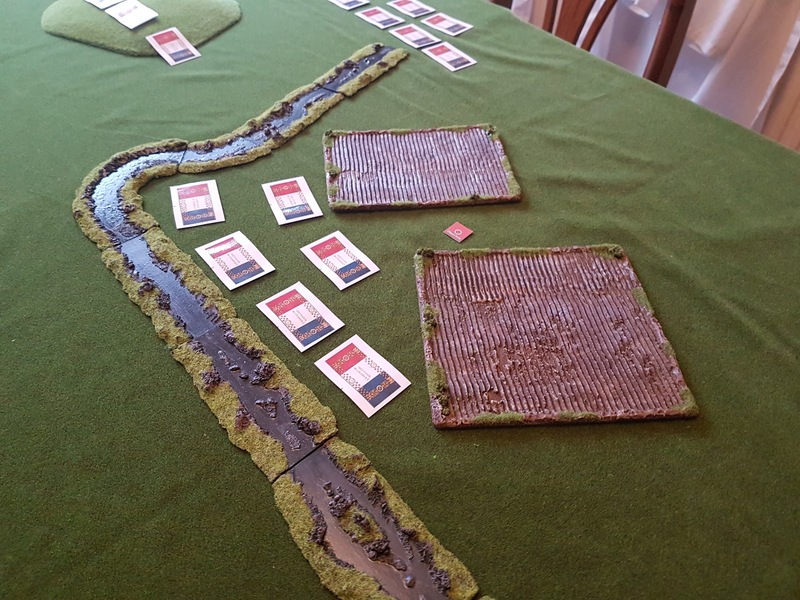 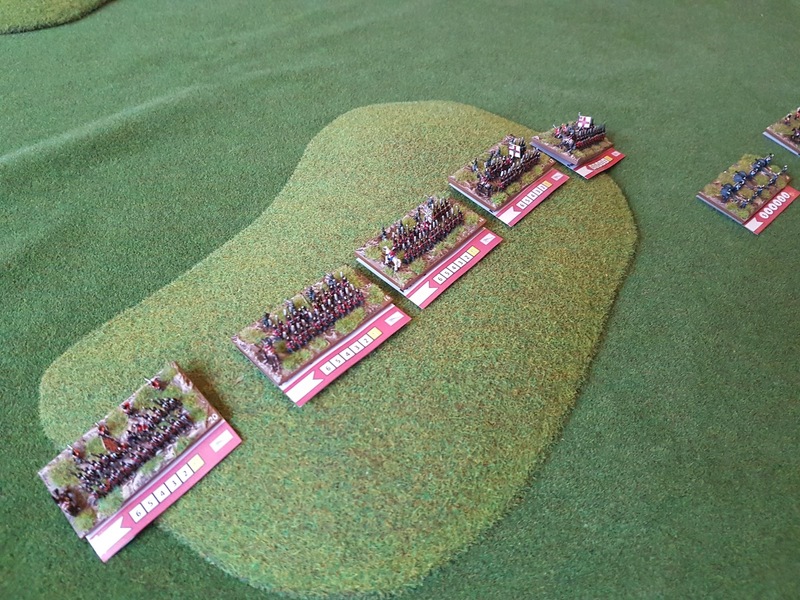 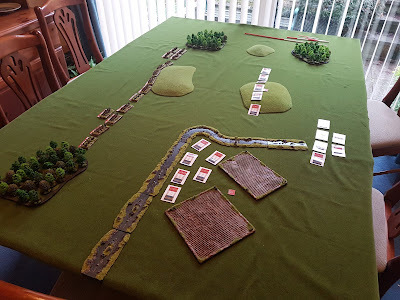 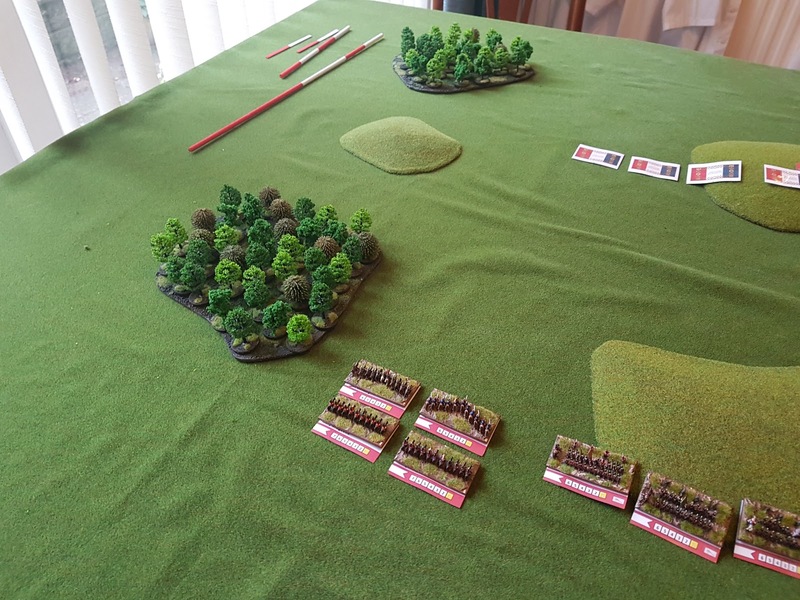 I do have a lot more terrain than is shown in these photos but since we plan to play an altered version of the starter Across the Danube scenario I've laid out the board ready for that.